My entry #2 for Dlike #streetphotography Contest. Nice contest n photography of street. never heard of dlike before, what's it about in a nutshell ? Hahaha... it´s so narrow that you won´t be able to get out of the car when it collapses ... but this is a typical aspects of the southern countries like Italy, France and Spain. I like the picture, anyways I guess the car wasn't able to make through the street! Your UA account score is currently 4.733 which ranks you at #1420 across all Steem accounts. Your rank has improved 39 places in the last three days (old rank 1459). In our last Algorithmic Curation Round, consisting of 278 contributions, your post is ranked at #40. Holy moly! 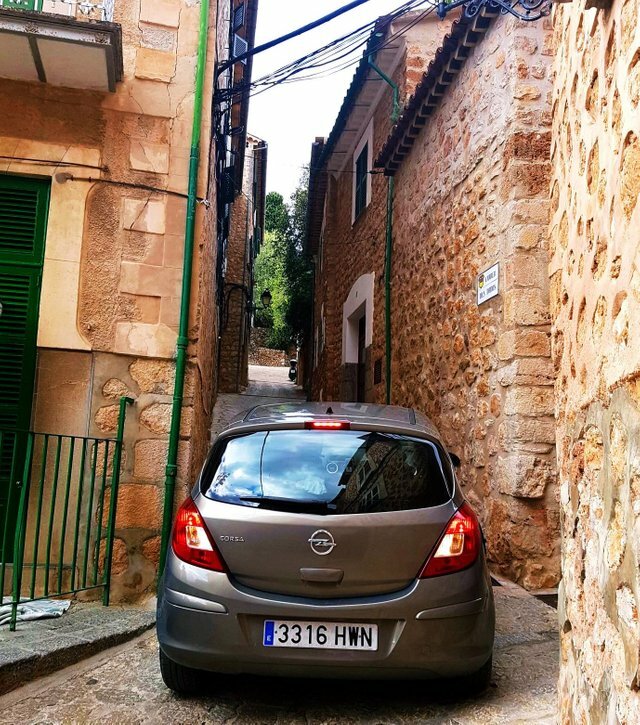 How does a car for down a street of that minuscule width?